From time to time I make media appearances or participate in photo shoots and have to really look my best. To ready myself for these jobs I do a Detox Diet Week. I do this to reduce bloat, trim a few pounds, clear up my skin and ensure my long hair will shine under the lights. I also participate in the detox cleanse when I feel I’ve gotten too obsessed with food, a common issue for a food writer, and I recommend it to people who need a boost in weight loss, want to cleanse their bodies and in general just feel better. This Detox Diet Week is a filling plan that slowly eases you into the detox smoothie only days. You get to eat real meals as you gently ease into the two day smoothie detox cleanse and can lose between 5-15 pounds in the 7 day cleanse diet program. 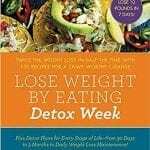 Why Does The Detox Diet Week Work? The reason this Detox Diet Week works so well is the plethora of raw fruits and vegetables. Raw fruits and vegetables help scrub your body clean, while removing toxins and extra body fat. Raw fruits and vegetables have more nutrients than cooked produce so when you have a metabolism boosting, beautifying vegetable like raw broccoli it’s more effective than steamed or grilled broccoli, simply because it’s still in the raw state. So be open to this very raw way of eating and before you know it you will be feeling satisfied and fabulous while detoxing and losing weight. 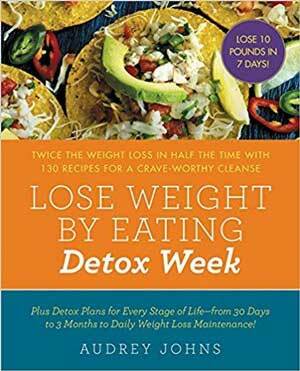 Below you’ll find the Detox Diet Week Guide, 5 new detox smoothie recipes (plus a link to 10 more), 5 big bowl salad recipes, 3 detox meal options (along with more links to more meal options), detox snack options, a detox water / drinks guide and a detox meal plan to keep you on track. 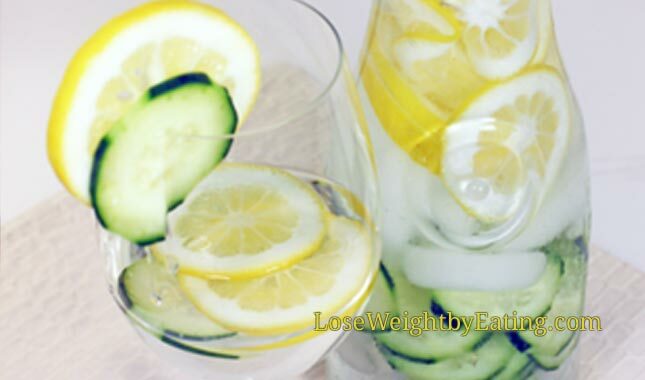 To give your weight loss an additional boost, I recommend using detox water for an extra detox cleanse. 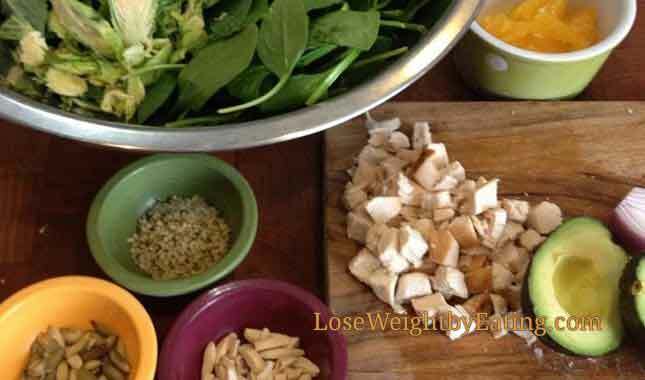 You can have the detox meals in any order you like on this 7 day cleanse. Most people like the detox smoothies in the morning, salads at lunch and detox meal recipes in the evening, but you can go in any order you like. Just be sure to use the downloadable Detox Meal Plan to schedule it all out. You can use frozen fruits for these detox smoothie diet recipes, but be sure to get organic both in frozen and fresh produce. On this cleansing smoothie diet, we are trying to remove toxins so it’s important you opt for the best quality food to see the best results. 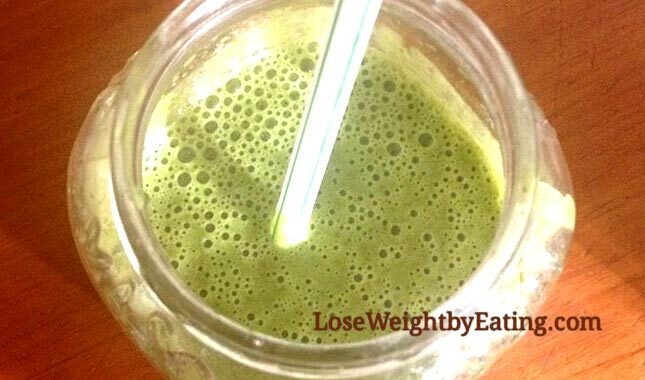 I recommend detox smoothies for weight loss or whenever you may feel bloated. For even more recipes, check out my Detox Smoothie Recipes for a Fast Weight Loss Cleanse or 10 Best Green Smoothie Recipes for Quick Weight Loss guides. Special Tip: Detox smoothies are a powerful weight loss tool that you can and should use every day. To make the best detox smoothies as conveniently as possible, check out our Recommended Smoothie Blenders or see our list of the Top 10 Best Selling Smoothie Blenders. With a good smoothie blender, you’ll be encouraged to make them every day, and find your weight loss and detox goals are easier to achieve. It’s worth the $100 investment in your health! 1 cup unsweetened almond milk. Here are 10 more green smoothie recipes to choose from. 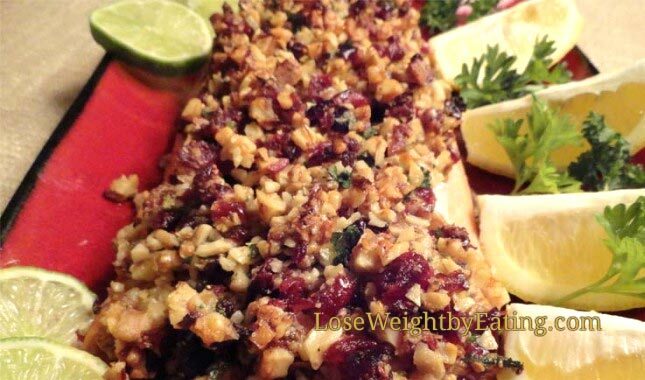 The idea behind these salads, make them so big they are hard to finish! Often I can only eat ½ a big bowl salad, I save the other half for a “free” snack. By using part of your lunch as a afternoon snack, or half your breakfast as a mid morning snack you eat fewer calories during this 7 day cleanse. You’re not adding calories but just spreading them out. These detox meals are 30% lean protein and 70% vegetables, so if you have a favorite chicken recipe, use it in lieu of one of these recipes, enjoy it with some grilled veggies or a salad. Just do your best to skip bread, pastas and sugar this week. I’m not against carbs, but for maximum results it’s good to avoid flour or sugar based carbs on this cleanse diet week. I make 3 servings and put out tortillas for my family, this way I don’t have to make an extra meal for them. You can also make a few extra servings for leftovers, they are helpful if you have a family to cook for on the smoothie diet only days… you won’t want to cook on those days and you can just serve leftover fajitas in tortillas, atop a salad or inside a quesadilla. In a skillet heat the olive oil on medium heat, add in the chicken and brown on all sides for about 5 minutes. To the browned chicken add chili powder, oregano and garlic powder and toss together until the chicken strips are all coated. Add the bell peppers, onion and jalapeno to the skillet and cook until soft, about 10-15 minutes. Scoop into the lettuce leaves and serve hot. This chili can be made vegetarian, or with ground turkey or leftover shredded chicken. It works in perfectly in this cleanse diet program. To add ground turkey, brown it with the onions, to use leftover chicken, add it in with the tomatoes. You can also make this in a crock pot, once the onions and bell peppers are soft, move to the crock pot and continue the rest of the recipe in the crock pot. Cook on high for 4 hours or on low for 7. Freeze the leftovers in individual containers, this chili is great over an omelet or atop a baked potato. In a large sauce pot heat the oil on medium. Add in the onion, bell peppers, garlic and jalapeno, cook for 10-15 minutes until the veggies are soft and most of the onions transparent. 10 minutes before you serve the chili add in the beans and the corn and stir together. Some of you may want to use your “Detox Meal” in the morning, or for a Sunday brunch. So I wanted to include an all day breakfast option. Omelets are great any time of the day, I added cheese here in place of meat, so if you want to add meat you need to take out the cheese, leftover chicken or chopped turkey bacon work great here. In a large skillet heat ½ teaspoon of olive oil on medium, add in the bell pepper, mushrooms and tomatoes. Cook for 10 minutes until the bell peppers are soft, while they cook prep the eggs and shred the cheese. Once the veggies are done cooking add in the green onion, turn off the heat and cover. In a small skillet heat the remaining ½ teaspoon olive oil on medium low. Whisk the egg whites and eggs together with a tablespoon of water until light and airy and add to the small skillet. Let cook slowly undisturbed until ½ of the eggs have set. Use a spatula to gently lift one side of the omelet so that the runny eggs can pool below, then lay back down the cooked eggs and top the entire top of the omelet with cheese. Once the eggs are fully cooked, add the cooked veggies to the center and gently fold the eggs over as you would fold a letter, cook for another minute to ensure the cheese is melted and oozing all over the veggies then gently move to a plate. Top with avocado and salsa and serve hot. Here are more Detox Foods including a FREE printable grocery list. You can have unlimited vegetables during this Detox Diet Week, but sometimes (especially after a salad or a detox smoothie) you’ll just want something different. So below are some snack options and recipe links to keep you full and happy while doing this cleansing diet. You can have 2 snacks per day, even on the smoothie days! Just be sure to follow the serving sizes. You’re trying to rid your body of toxins this week, whether it’s to lose weight, to clear up your skin or just to feel healthier you’ll need to flush your system with lots and lots of detox drinks like fruit infused water, a gallon of water a day to be exact. I’ve included some fruit infused detox waters below for those of you who don’t like the taste of water, or need a push to help you drink more, just be sure not to use any artificial sweeteners in your water. Those little packets of flavoring that people add to their water actually are packed full of toxins that cause fat storage, weight gain, migraines, breakouts… the list goes on and on, so skip the flavor packets and go all natural. What about coffee? I’ve got you covered, ideally it’s good to skip coffee during this Detox Diet Week, but that’s not always so easy to do. So limit yourself to one cup per day, you can have 1-2 cups of organic herbal tea, so if you drink coffee in the morning, choose herbal tea for your second cup in the afternoon. Now that you know coffee in moderation is ok, lets talk about what to put in it. We are trying to skip processed sugars this week, so in lieu of sugar or flavored creamers (many with the same issues as the little flavor packets in the water paragraph above) choose an all natural creamer and an all natural sweetener. I like coconut creamer and honey, but you can also try organic half and half, and coconut sugar or maple syrup (don’t knock it till you try it, it’s good!) I’ve included an all natural under 50 calorie latte recipe below for those of you with coffee house tendencies. Check out our Recommended Fruit Infused Water Bottles or see our list of the Top 5 Best Seller Fruit Infused Water Bottles. Now that you know what to eat and what to drink it’s time to fill out your Detox Meal Plan. This may seem like an unnecessary step, but it’s a very important step to help you stay on track. Click the image below to download the Detox Meal Plan. 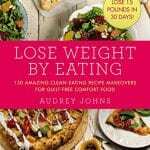 You’re more likely to stay on track after you’ve completed this meal planner than if you haven’t, it will help you save money and if placed in a visible spot in your house will remind you of the yummy meals you have coming up, making it easier to stay on the detox cleanse plan all week long. So do your homework, it makes knowing how to lose weight in a week so much easier! Often people want to continue after week #1, they feel amazing, look amazing and want to continue. If you want to continue it is perfectly safe, but you may become burnt out. Week #2 Detox Smoothie, Big Bowl Salad, One (1) Detox Meal each day for 7 days. Week #4 Detox Smoothie, Big Bowl Salad, One (1) Detox Meal each day for 7 days. 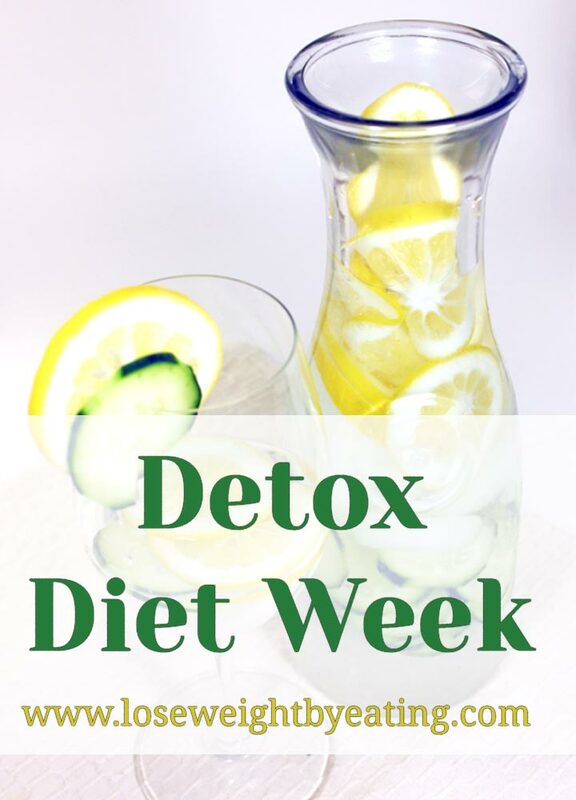 MORE DETOX WEEK INFORMATION HERE! © 2019 WeightLossTopSecret. All Rights Reserved. WeightLossTopSecret.net is committed to providing information on natural and alternative health, but is not written by health care professionals. All material provided at WeightLossTopSecret.net is for informational purposes only, and is not to be taken as medical advice or recommendation. Any health concern or condition should be addressed by a doctor or other appropriate health care professional. The information and opinions found on this website are written based on the best data available at the time of writing, and are believed to be accurate according to the best discernment of the authors. Those who do not seek council from the appropriate health care authority assume the liability of any injury which may occur. Additionally, the opinions expressed at WeightLossTopSecret.net do not represent the views of each and every author or contributor to WeightLossTopSecret.net. The publisher of this site is not responsible for any errors or omissions in any content herein. Links on this website may lead you to a product or service that provides an affiliate commission to the owners of this site should you make a purchase. In no way does any affiliate relationship ever factor into a recommendation, or alter the integrity of the information we provide.